The cottage homes system grew out of European experiments in the institutional care of young people such as those at the Rauhe Haus in Germany in the 1830s and at the Mettray colony in France in the 1840s and 1850s. 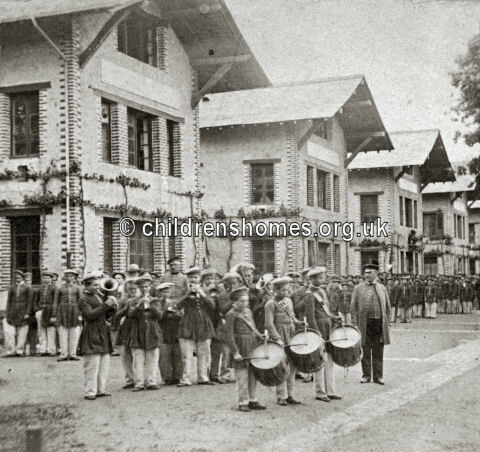 The Rauhe Haus developed the 'family principle' for the destitute children it housed. At Mettray, where 'family' groups of boys lived under the supervision of a house-parent, the approach proved successful in providing a remedial environment for the male juvenile offenders who were placed there. The Rauhe Haus in Germany. 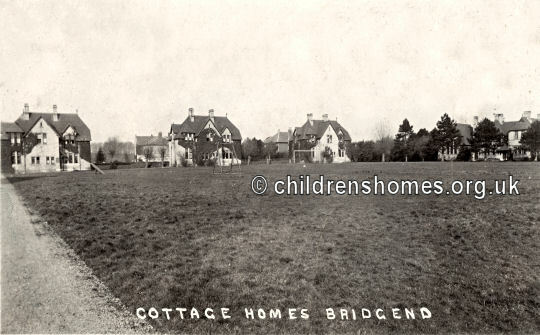 The use of children's cottage homes in England was pioneered by charitable establishments such as the Home for Little Boys founded in 1865 at Farningham in Kent, the Princess Mary's Homes for Little Girls established in 1870 at Addlestone in Surrey, and the Barnardo's Village Home for Girls at Barkingside in Essex opened in 1876. Adoption of the system for pauper children was proposed in an 1874 report to the Local Government Board by Mrs Jane Senior, the first female Poor Law Inspector. She criticised the large industrial or 'barrack' schools that had been set up by a number of unions as being unhealthy and also failing to give their inmates any individual attention. 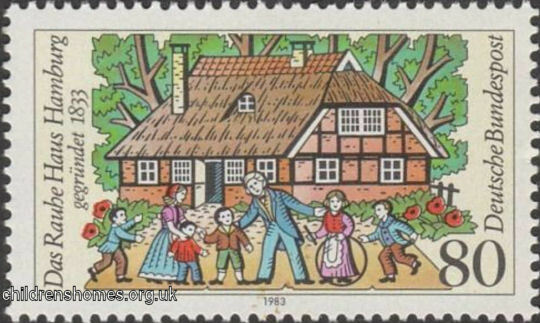 Cottage homes, housing children in household groups of 'no more than 20 to 30' in a rural environment, would instead be 'of a more home-like character' and provide a 'free and natural mode of life'. In the mid-1870s, the Poor Law Unions of West Derby, West Ham and Bolton made tentative experiments with the cottage homes approach, although each used buildings erected on their existing workhouse sites. The West Derby and West Ham homes also housed fifty children — rather more than the maximum proposed by Mrs Senior. The first true poor law cottage home developments were established in South Wales by the unions at Swansea (1877), Neath (1878), and Bridgend and Cowbridge (1879), with schemes in England being opened by Birmingham (1879) and the Kensington and Chelsea School District (1880). 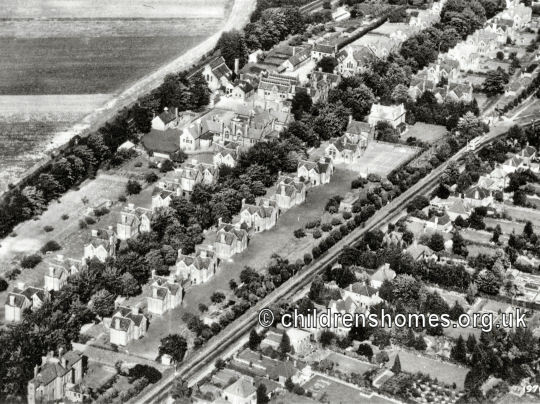 In the voluntary sector, Barnardo's again adopted the cottage homes model for the Boys' Garden City site at Woodford Bridge in 1909. 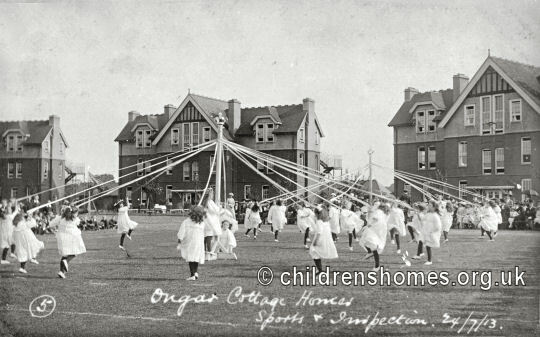 The National Children's Home (now Action for Children) established cottage homes schemes at Frodsham in Cheshire (1903), at Bramhope near Leeds (1906), and at Harpenden in Hertfordshire (1913). 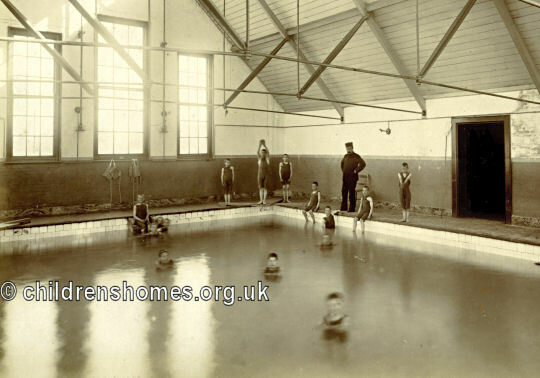 As well as houses and a school, larger cottage home sites could include training workshops, an infirmary, chapel, bakehouse, laundry, gymnasium, and even a swimming pool. 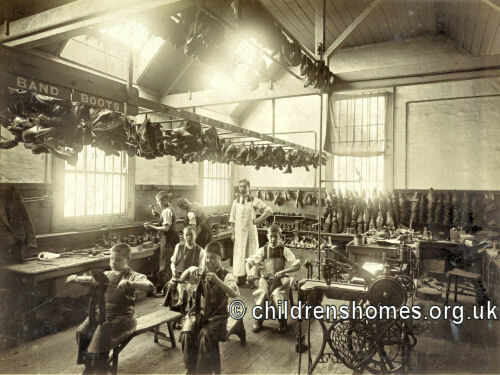 Boys were taught practical trades such as shoemaking, tailoring, plumbing and joinery, while girls learned household skills such as sewing, cooking and cleaning to equip them for domestic service. A few occupations such as gardening were taught to both boys and girls. 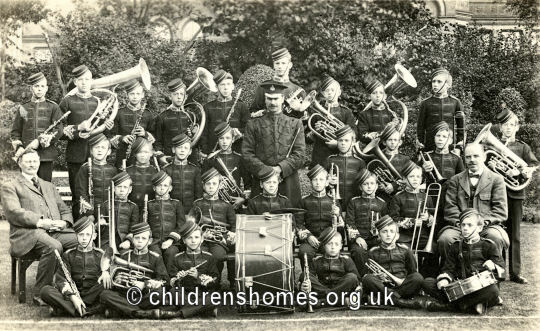 Cottage homes often also had a boys' military band which could provide a pathway into a career as a musician in the army or navy. By the 1920s, around 115 Poor Law Unions operated premises which could be described as cottage homes although some consisted of just one or two houses located near to the workhouse. After the abolition of Boards of Guardians in 1930, many cottage homes sites were taken over by local councils and continued in operation, in some cases until the 1980s. Because of their domestic scale and often attractive locations, many cottage home buildings still survive, usually now converted to private residential use. A separate page provides a list of former cottage homes sites.